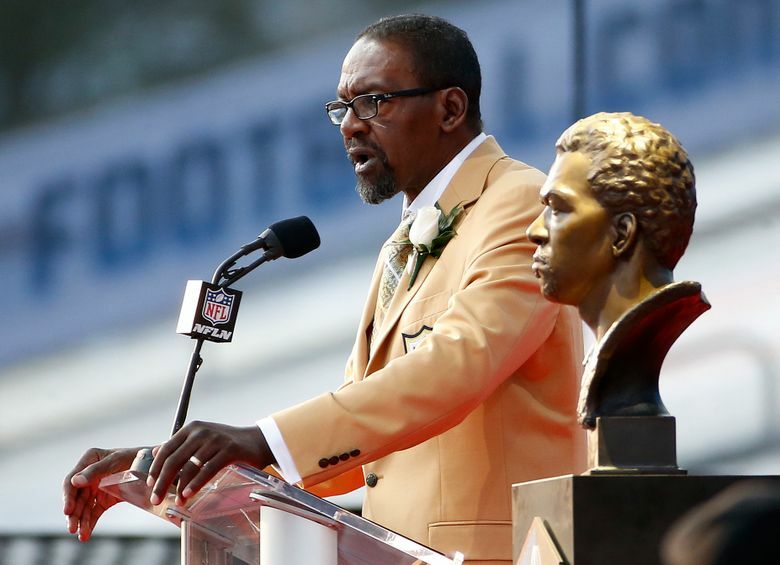 Kenny Easley played seven incredible years as a safety for the Seahawks from 1981 to 1987 and became the fourth player who spent his entire career in Seattle to be inducted. 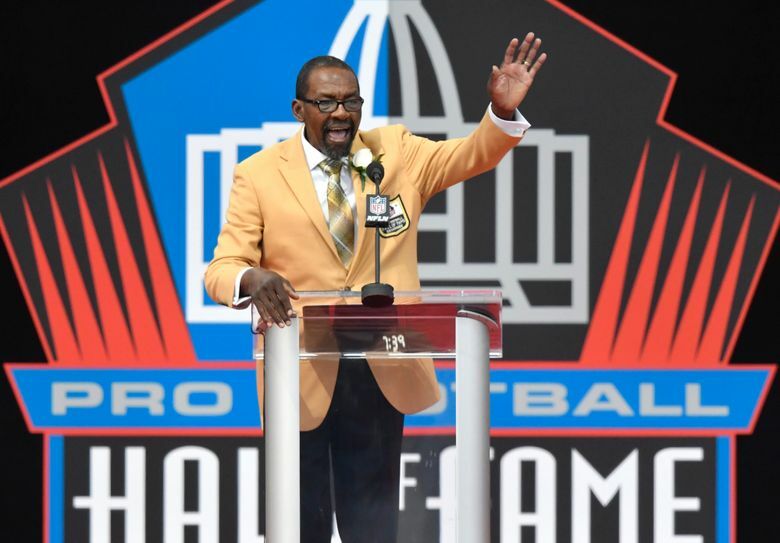 CANTON, Ohio — Kenny Easley may have been as great as any player in Seahawks history but he often seemed as distant as any of the team’s legends. Easley played seven incredible years as a safety for the Seahawks from 1981 to 1987 before a contentious ending to his career resulted in him largely disappearing from view for 15 years before current owner Paul Allen helped bring him back into the fold in 2002. So maybe it made sense that a roughly 25-minute speech Saturday celebrating his official enshrinement into the Pro Football Hall of Fame — becoming the fourth player who spent his entire career in Seattle to be inducted — was largely devoted to issues outside of football and to Easley’s life before and after the NFL. While Easley made no mention of any team executive from his time with the Seahawks from 1981 to 1987, he noted that it was Allen’s call in 2002 asking him to agree to become a member of Ring of Honor that led to him renewing relations with the team and the NFL. Who will be the next Seahawk enshrined in Pro Football Hall of Fame? Easley retired in 1988 when it was discovered he had kidney damage that he alleged was due to an overdose of painkillers prescribed by Seahawks trainers due to an ankle injury. A trade to Arizona was aborted when the condition was found. Easley later sued the team with the Seahawks eventually making a settlement. That Easley’s career ended suddenly at the age of 28 and after just seven seasons — during which he was named to five Pro Bowls and won Defensive Player of the Year honors when the Seahawks went a then franchise-best 12-4 in 1984 — and resulted in him receiving little consideration for the Hall in 1992 when his name was first raised. Easley thanked those who led a revival for his candidacy, including NFL writer Frank Cooney and longtime fan and current Minnesota school teacher Bob Kaupang, whose efforts helped result in his nomination by the Senior Committee last summer and eventual election in February. Instead, he cited his pastor, Tyrone Armstrong, with telling him that “there is a season for everything’’ and that he feels the Hall of Fame election came at just the right time. Early in his speech, Easley mentioned three former Seahawks teammates — defensive end Jacob Green, offensive lineman Reggie McKenzie and quarterback Dave Krieg — saying he thinks each are among those who should get inducted into the Hall someday. Of Green, he noted that it is “30 years removed (and he) is still the Seahawks’ all-time sacks leader.’’ Easley also cited Shaun Alexander as a player he thinks deserves induction someday. The favor, Easley said, is for Seahawks fans to do The Wave when he plans to be in attendance for the Oct. 1 game against the Indianapolis Colts to honor the players of the ’70s and ’80s. “Can you do that for a brother?’’ Easley asked. Easley was introduced by Tommy Rhodes, his coach at Oscar Smith High in Chesapeake, Va. He talked of the support of his wife of 35 years, Gail, his three children, his mother who he said had fallen ill in the past week and was unable to attend, and his deceased father, Kenny Sr. He talked of the importance of his religious faith, citing Philippians 4 and 6, throughout his speech. Nine players who spent time with Seattle are in the Pro Football Hall of Fame. Note: Former coach and GM Mike McCormack was elected to Hall in 1984 as player.